Here at Emergency Plumber Melbourne we offer a fully comprehensive emergency plumbing service, 24 hours a day, 7 days a week. No matter if the emergency is at your home, business or commercial property, our team of qualified emergency plumbers can work quickly and efficiently to deaf with any plumbing problems that may occur. The team at Emergency Plumber Melbourne are fully dedicated plumbers trained and licensed to carry out emergency plumbing work on your property. We offer no obligation up front quotes, so you know exactly what you will be paying. We also offer a fixed service price. We offer a quality service and all of our plumbers will arrive on time, be professional and friendly and will get the job done as quickly as they can. One of the most common plumbing emergencies is the blocked toilet drain and this needs to be dealt with quickly before damage occurs to the floor of your bathroom. If you do notice any of these signs that your drains might be blocked then please do call Emergency Plumber Melbourne and we will be with you quickly to solve the problem. If you have a hot water system that is simply not working then call on Emergency Plumber Melbourne to help get it working again. We can repair both gas and electric hot water systems. The plumbing team at Emergency Plumber Melbourne have years of experience and can soon get your hot water back on again. However if we find that you do need a completely new hot water system and we are unable to get one to you that day, please do not panic. Emergency Plumber Melbourne always carry emergency hot water systems with us, for you to use until your new system is available. Here at Emergency Plumber Melbourne we also provide many other emergency plumbing services. What to do when the Plumber Arrives? It is important to know what to do prior to the arrival of the emergency plumber. 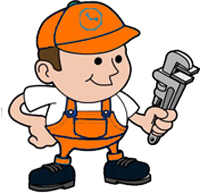 Emergency Plumber Melbourne suggest following the below advice. If you have a blocked drain, while waiting for the Emergency Plumber Melbourne service to arrive you should stop running the water, using the washing machine or taking a shower. You should also not flush the toilet or access the hot water system until the emergency plumber arrives. If you have a burst water pipe, then firstly don’t panic. Call Emergency Plumber Melbourne and turn off the water to your property. If you have a leaking tap, then once again call Emergency Plumber Melbourne and turn the water meter off. Finally in the case of a burst hot water system, then you do need to take certain safety precautions. Call Emergency Plumber Melbourne and be sure to keep children and pets away from the leaking hot water. Be rest assured that plumbing emergencies are our specialty. Plumbing emergencies are incredibly stressful and frightening but please do not worry. If you have any kind of plumbing emergency, please do contact Emergency Plumber Melbourne and we will help you.